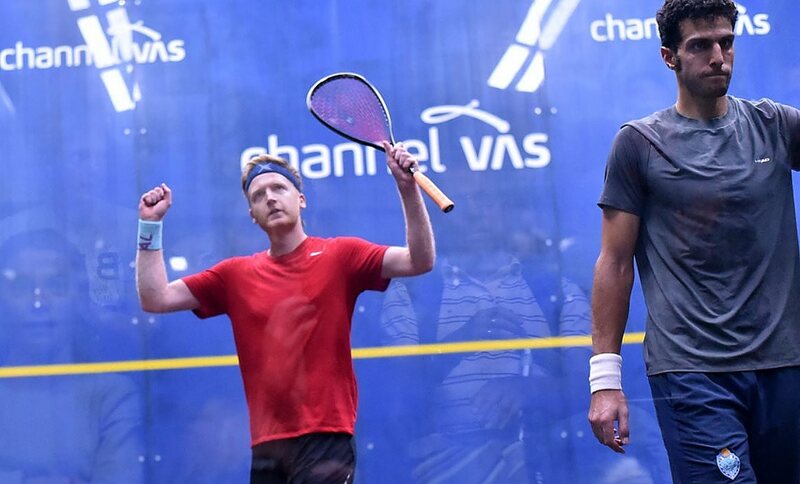 World No.30 Tom Richards delighted spectators at St George’s Hill Lawn Tennis Club as he upset former World No.3 Omar Mosaad to reach the quarter-finals of the Channel VAS Championships, PSA World Tour Gold event earlier today. Richards, 32, has played at St George’s Hill since he was just two years old and he claimed one of his biggest wins on the PSA Tour in recent years with a fine comeback from a game down to win 10-12, 11-7, 13-11, 11-2. “[The result] has been coming for a few years, I felt like I’ve been playing well again over the last year and a half,” Richards said afterwards. “I’ve been close to getting a couple of scalps, but I felt really good there. I was playing well and I feel fit and strong. Richards is rewarded with a last eight match-up against World No.2 Ali Farag, who came through a tough encounter with World No.20 Declan James. 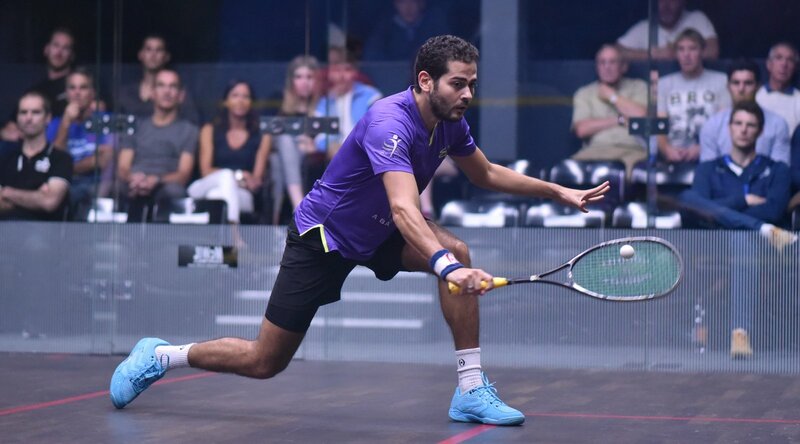 Harvard-graduate Farag reached the final here last year and he took a step closer to the title decider after ousting James by a 13-11, 7-11, 11-7, 13-11 scoreline. Farag, 26, was put under huge pressure by James for much of the 57-minute match and had to overturn a game ball in the opening game before he went on to lose the second. 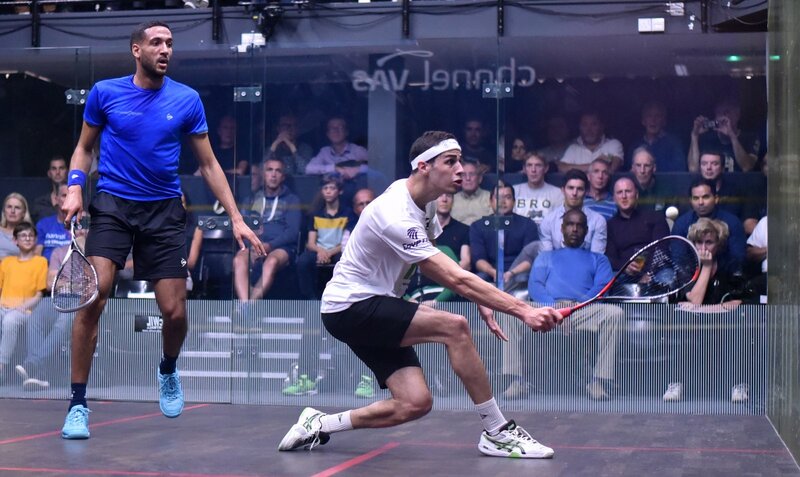 But the momentum shifted back in the Egyptian’s favour in the third and he refocused to sneak the win in four games. “Tonight’s match is a testament to Declan’s talent, he never ceased to attack and I’m just happy to get through today,” Farag said. Meanwhile, former World Champion Karim Abdel Gawad booked his place in the last eight after he recovered from a game down to see off Scotland’s World No.34 Greg Lobban by a 3-1 margin on his Channel VAS Championships debut. Gawad made a traditionally slow start as Lobban, who had already played on this court in round one, dominated the opener to go a game up for the loss of just three points. But the Egyptian came onto court a different man in the second as he found his range, and he looked considerably quicker around court over the course of the next three games. “He made it very tough for me today and it’s always hard to play an opponent twice in a week,” said Gawad, who beat Lobban at the U.S. Open two weeks ago. Gawad will line up against Indian No.1 Saurav Ghosal for a place in the semi-finals. Ghosal booked his last eight berth courtesy of a 3-0 victory over France’s Mathieu Castagnet. Ghosal, the 32-year-old from Kolkata, was making his first appearance of the tournament after receiving a bye into round two, while Castagnet had to fight through a brutal 103-minute battle against compatriot Lucas Serme in the first round. 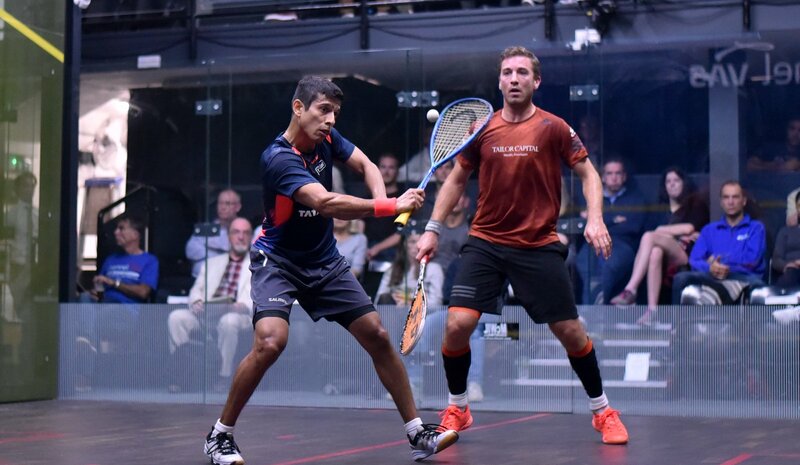 And Ghosal’s fresher legs made a big impact on the scoreline as he recorded an 11-5, 11-7, 11-5 victory in 42 minutes. The quarter-finals of the Channel VAS Championships begin on Friday October 19 at 17:30 (BST) and all four fixtures will be shown live on SQUASHTV (Rest of World) and Eurosport Player (Europe only). 2018 Channel VAS Championships at St George’s Hill, Surrey, England. very happy for tom actually. he has always been quality and he needs to beat Farag to really boost his confidence. for some years he has been quietly competing without hitting the heights but I am sure at one time he was just outside top ten. I had a hit with him once at a camp and had no idea where the ball was going! somehow you can feel the pressure from the first point.